I'm delighted to be joining Adore to Decor for Wayfaring Wednesday and A Southern Daydreamer for Outdoor Wednesday. I have a real project going with my photos from my 18 day trip to England and Scotland. Way to much photo editing~But I love it. A few days ago I shared with you 'Three Ladies Go Traveling' first night(Thursday) and the Queen's Birthday which was held on Saturday. 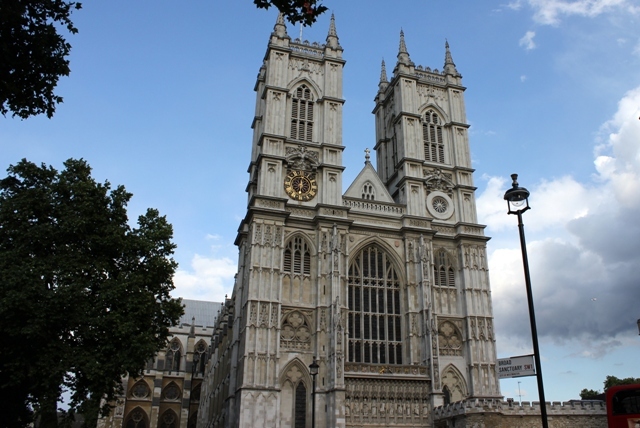 Today I'm sharing with you our sightseeing tour on Friday. All this in one day!! 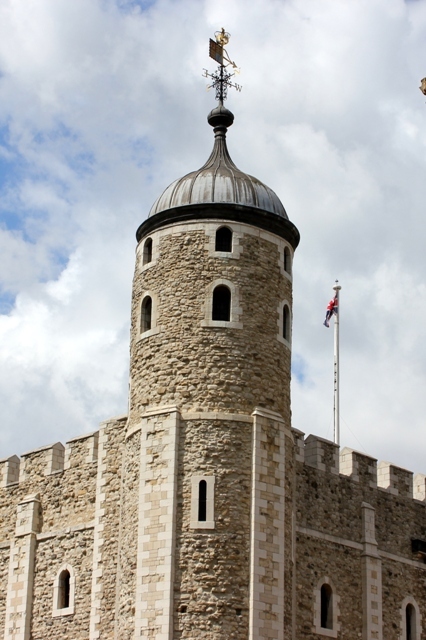 We took the Tube to the Tower of London and arrived just before 9:00 a.m. It seemed that we were the only tourists there. 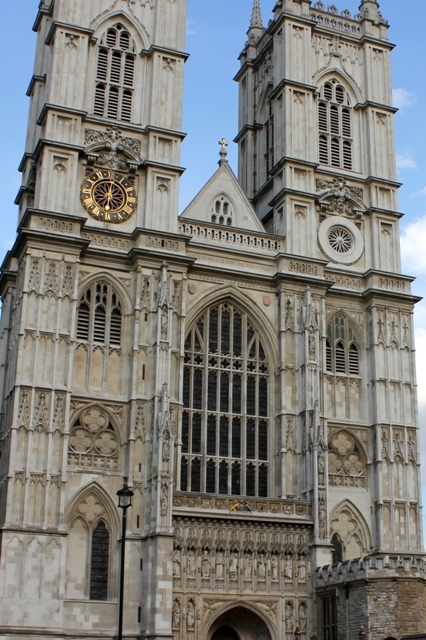 We walked around and I took a few photos of the Tower before going to see The Crown Jewels. Wow!!! Awesome and Fabulous. 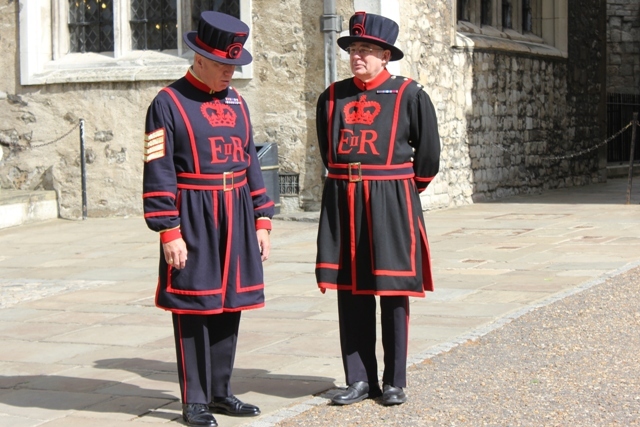 All Beefeaters are retired officers from the armed forces with distinguished service records. At night, they ritually lock up the Tower in the Ceremony of the Keys. 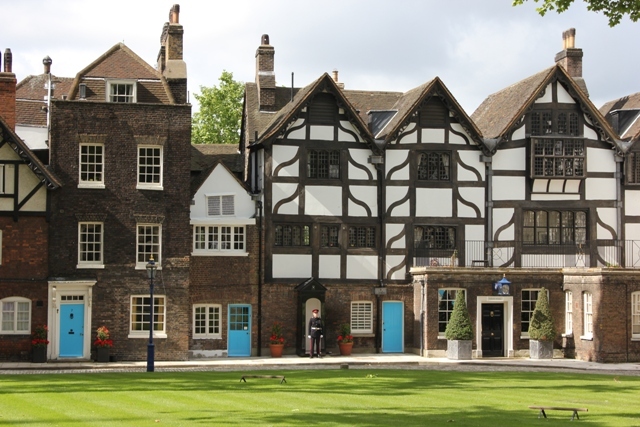 In medieval times, this spacious courtyard within walls the was the "town square" for those who lived in the castle. See-There are no tourists yet. 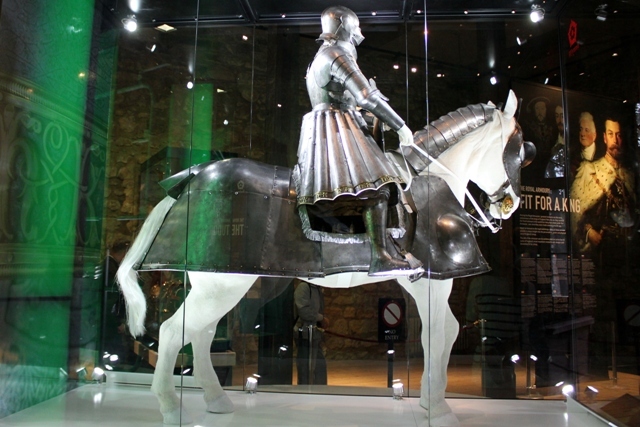 The White Tower Museum holds the Royal Armory. 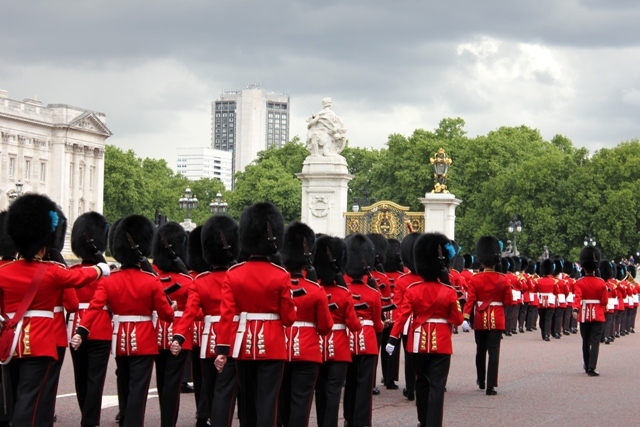 After touring The Tower of London we moved on to watch the Changing of the Guard at Buckingham Palace. 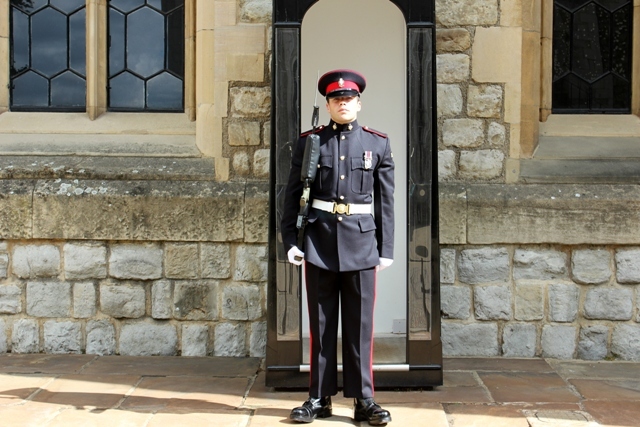 We started at the Wellington Barracks, following the Red Coat pageantry to the Palace. 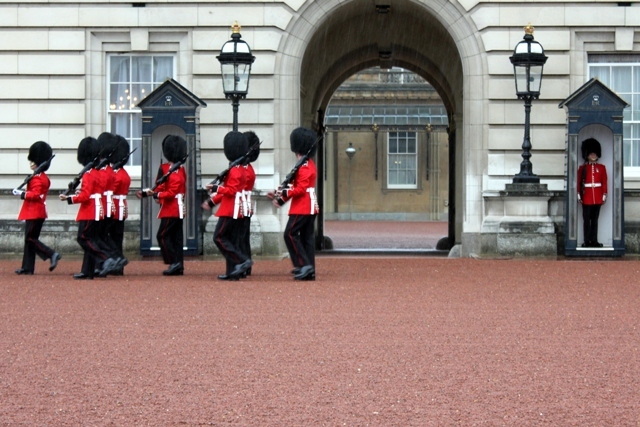 While I was photographing this ceremony at Buckingham Palace the rain was coming down in buckets. I did put my camera away during the downpour. 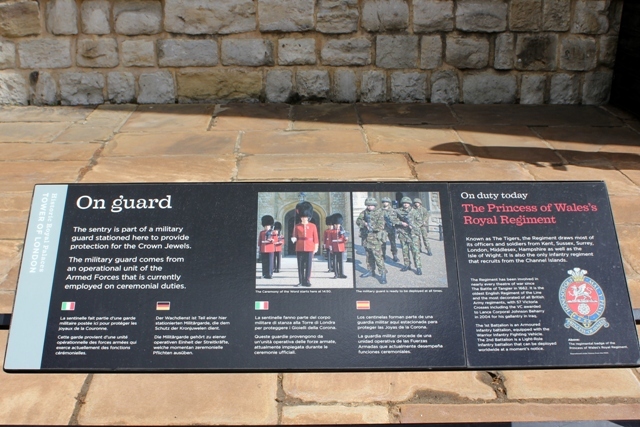 It did clear up for a few minutes as the guards were almost finished changing from Guard unit to another. Then we proceeded to have lunch in St. James Park and continue with our touring. The sun was shining the rest of the day. First look upstream, toward the House of Parliament. 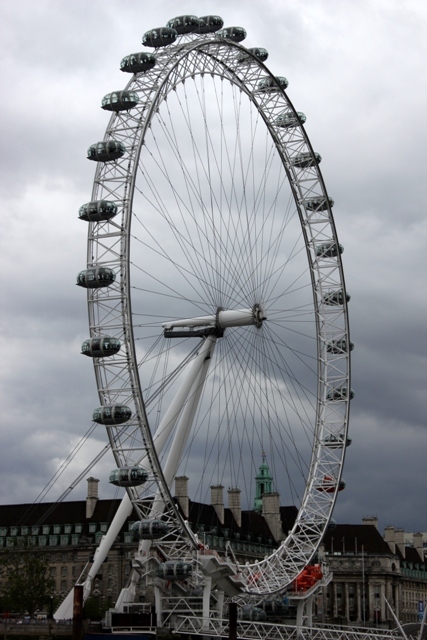 The London Eye is a memorable experience. Twenty-five people ride in each of its 32 air-conditioned capsules for the 30-minute rotation (you go around only once). The world's biggest Corinthian column, where Admiral Horatio Nelson stands 170 feet tall, looking over London in the direction of one of the greatest naval battles in history. 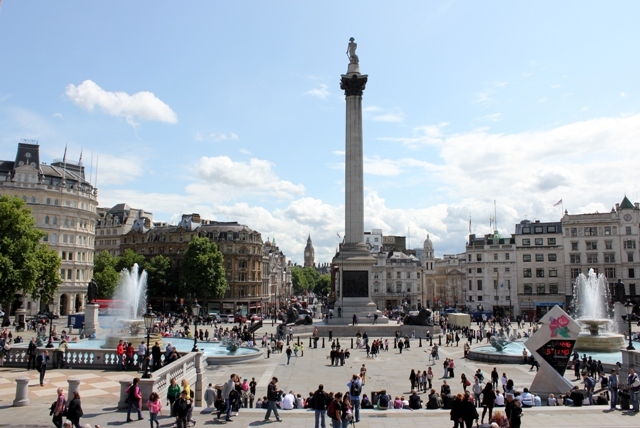 Trafalgar Square is the in the center of London, a thriving city atop two millennia of history. I photographed 'Trafalgar Square' from the front entrance of the National Gallery. 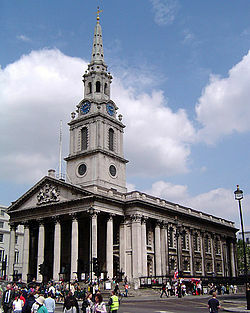 This is St. Martin-in-the-Fields church. Standing on the front entrance of the National Gallery the church sits to the left. After eating a wonderful meal in the church dinner hall 'Three Ladies Go Traveling' attended a Candlelight concert at 7:30 in the church... VIVALDI FOUR SEASONS. Vivaldi, Handel and Bach presented by London Musical Arts Ensemble. Absolutely the most beautiful music and sound I have every heard. ﻿Wow!! What a day. I hope you have enjoyed the highlights of my day in London. I will be sharing more of my trip in the coming weeks. Please drop by and say hi. 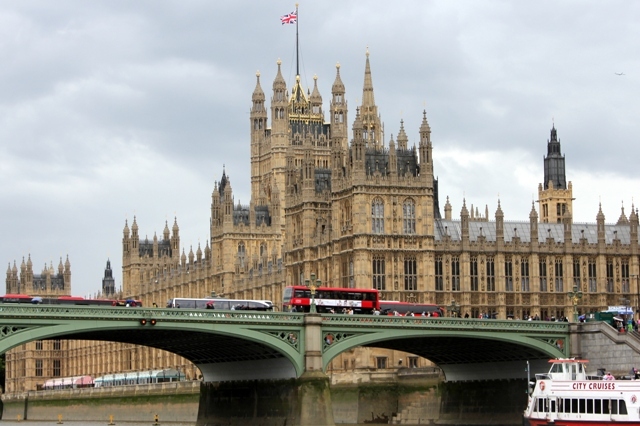 Thanks for sharing your fun trip to the British Isles...it is my dream to go there one day. Oh Betty you are bringing back such wonderful memories for me! I adore your delightful images. 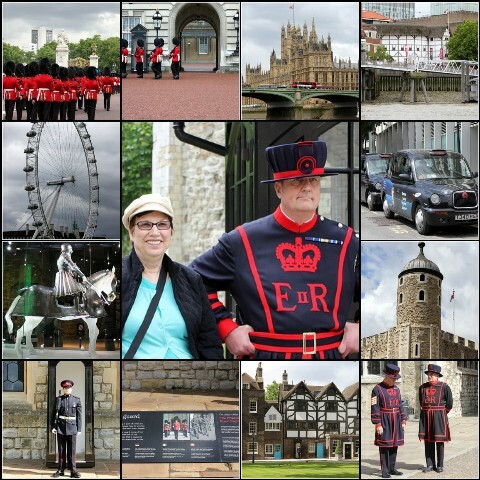 Just loved visiting London through your blog. My daughter lives in London and I am heading there to spend a month with her next week. Thanks for sharing. I love your post! So special to see the places I have been through your eyes and memories. The concert would be a great thrill. I am happy for you that you enjoyed that so much as would I. Love your mosaic. I look forward to all your other posts. HOpe you don't get tired. I did four Provence posts and still have more to go and Paris too. 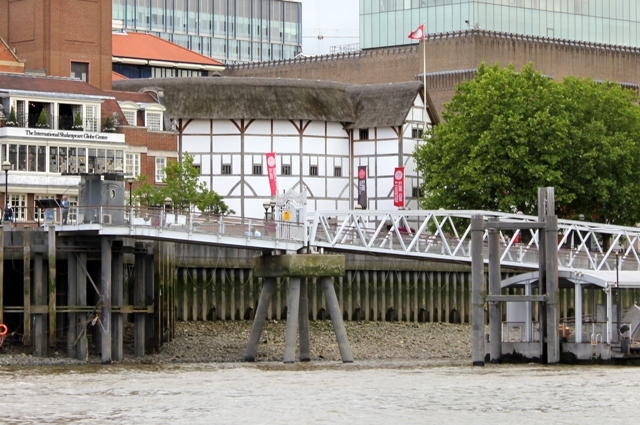 I did a post on London in the fall of 2010 I think. It is so funny I always felt my pictures were not good because of the cloudy days. Now, I have viewed enough other blogs in London and Paris to realize that is the way their weather is and not just my trip shots. I am so glad Laura is hosting a travel party. It is so much fun.